Today we will discuss how to grow Eggplants or Brinjals. There are many varieties of eggplants. They are round, egg-shaped, long or short. Even the color varies from purple to red and from black to creamy white. You can grow Eggplants from both seeds and transplants. Now, growing eggplants from the seeds are the trickiest part. For smoother germination, I will suggest you, to use seedling trays with a good potting mix. Eggplants require warm soil (70-75 degree F), so if you live in a place where there is a problem of frost; start planting the seeds 2 months before the frosting date. This will help the plants become strong enough and resistant to the external climate. Also, prepare some protection to the plants from the frost. Eggplants are also a good option for growing in pots. Generally, a 5-gallon pack is enough for a single plant. Likewise, if you want to grow them in garden beds it will also give you a good result. While planting in beds, give at least 2 feet space before planting another plant. A single mature eggplant can reach up to a height of 5 feet and generally forms short bushes. The soil preparation is almost the same as for the tomato plants. If you have not already read about tomato growing you can find them here. Mulching is very important for eggplants if you are living in cooler areas of the planet. Mulching not only provides protection against water loss, but it will also help the soil to remain warm. Crop rotation is a good option if you are growing eggplants. Eggplants are generally attacked by aphids, mites or caterpillars, crop rotation process will definitely help to reduce pests. Just avoid tomatoes or peppers while growing eggplants in succession. These are also a good option for companion planting. More on companion planting can be found here. After 3 to 4 months you can harvest the fruits. The best time to harvest is to pick them when they have reached 2/3 of their mature size. If the eggplant matures fully and you are late in harvesting, the seeds will turn brown and will be bitter in taste. So it is always better to harvest them before they reached their optimal size. Cut the fruit with a sharp knife from the woody stem. The plants generally produce a lot of eggplants. If you have treated the plants properly, you should not be worrying about the yield. Generally, 5 to 6 plants produce enough eggplants for the whole family to enjoy. 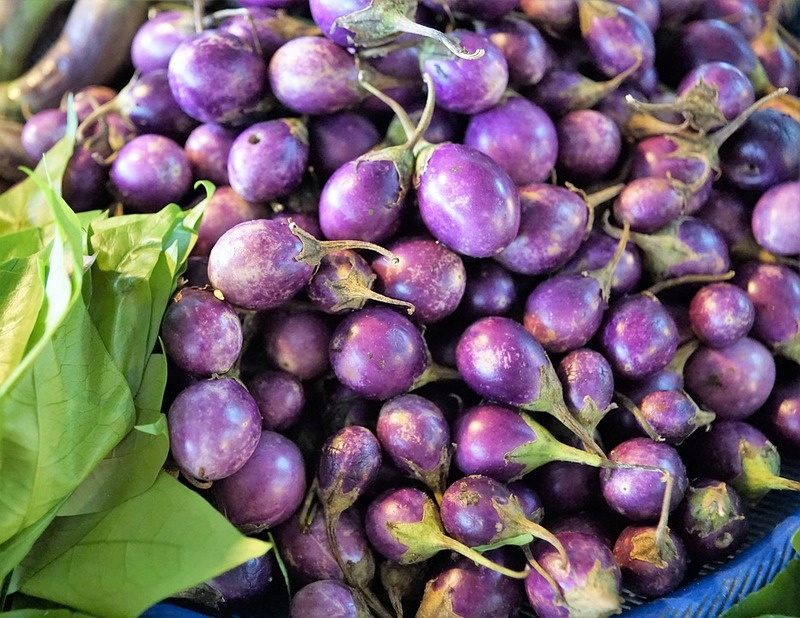 Eggplants are rich in vitamin B6, K, and dietary fibers. It is also a good source of minerals such as potassium, Copper, and Manganese.